The Chinese zodiac indicates 2016 is the Year of the Monkey, but for M&A practitioners it may be feeling more like the Year of the Stalking Horse. 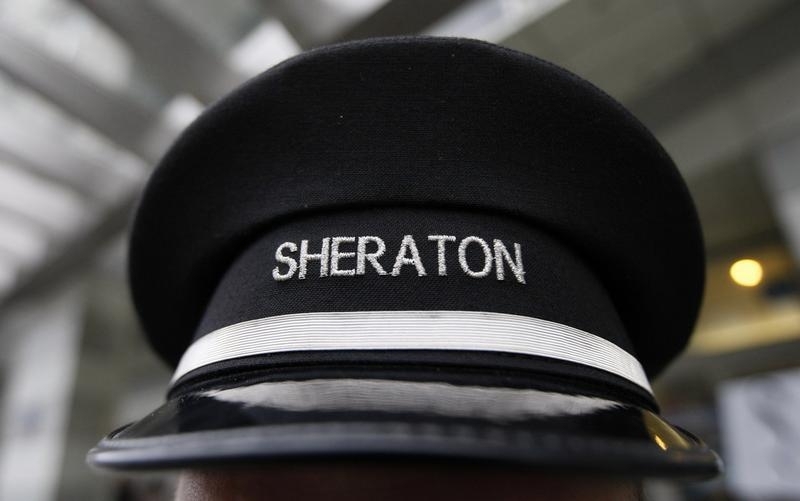 China’s Anbang Insurance on Thursday withdrew a non-binding $14 billion takeover bid for Starwood Hotels & Resorts, citing ambiguous “market conditions.” Its offer nevertheless helped the U.S. hotelier wrest a sweeter price and more cash from Marriott International. It’s a modern hazard for buyers up against Chinese suitors. Marriott struck a deal nearly all in stock to buy the owner of the Westin and W brands last November. At the time, it was worth about $12.2 billion. In March, after Anbang and co-investors first galloped into the fray, Starwood determined the Chinese company had put forward a better proposal. That prompted Marriott to come back with a new offer clocking in at $13.6 billion, about a quarter in cash. A second, higher proposal from Anbang this week had elicited concerns over financing and political obstacles in both countries. Chinese companies have become more aggressive in their takeover pursuits. Anbang bought New York’s Waldorf Astoria last year, in the process paying one of the highest prices per room for a U.S. hotel. In February, ChemChina swept in with a $43 billion deal to buy Syngenta after the Swiss seeds and pesticides maker had rejected entreaties from U.S.-based Monsanto. Sometimes, though, the appetite from China isn’t sated. ON Semiconductor’s purchase of Fairchild Semiconductor International last November and Thermo Fisher Scientific’s agreed deal with genetic-analysis company Affymetrix both featured higher bids from Chinese-backed would-be buyers. Yet both targets wound up choosing the more predictable underbidders, fearing the bigger but riskier bids might not get across the finish line. Financing risks aside, U.S. sellers in particular are wrestling with just how much of a premium and how big a reverse break fee is enough to compensate for the possibility a Chinese buyer is rejected by the murky Committee on Foreign Investment in the United States. As they struggle with the new calculus, however, they can leverage the Chinese interest in other ways. Even if it was inadvertent, Starwood may have just realigned some of the merger stars. China’s Anbang Insurance on March 31 told Starwood Hotels & Resorts Worldwide that it was withdrawing its non-binding $14 billion takeover bid. In a letter sent to Starwood, Anbang cited “market conditions” as the reason. Also on March 31, Thermo Fisher Scientific said it completed its $1.3 billion acquisition of Affymetrix, days after the target company rejected a higher bid from former executives backed by a Chinese private-equity firm.